Culver City is my kind of neighborhood. 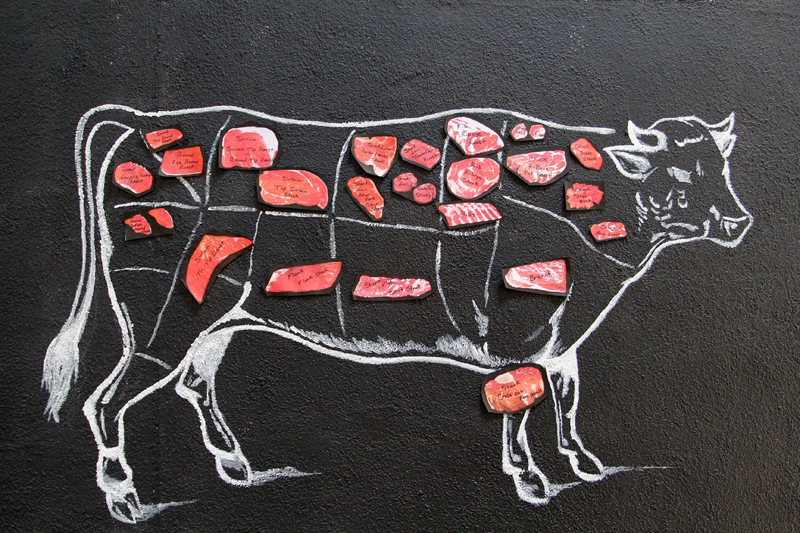 Lots of art galleries, bike paths and hiking trails, and a variety of unique places to eat. 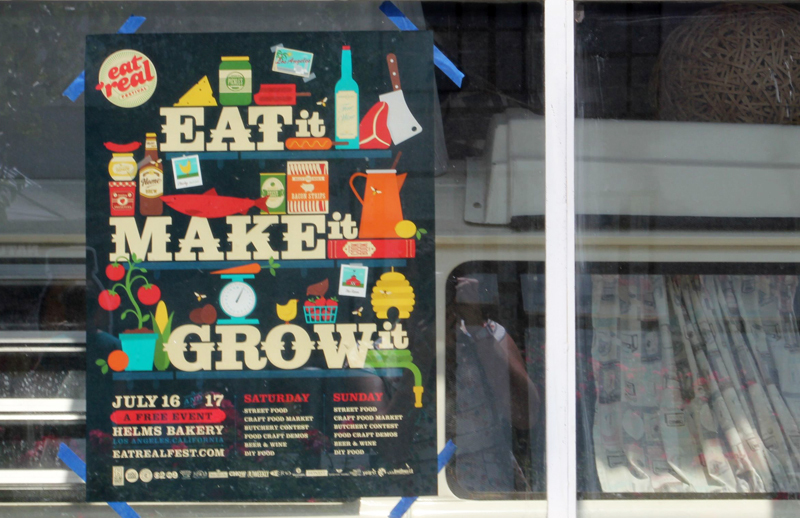 This weekend, the tasty morsels were abundant, as the Eat Real Festival moved into town and set up camp at the Helms Bakery. In addition to rows of food trucks offering up intoxicating smells and exploding flavors, the festival had several stages with hands-on classes (hubby & I learned how to make sauerkraut and forage for local edibles, while my neighbor learned how to pickle watermelon rinds and make sourdough bread! 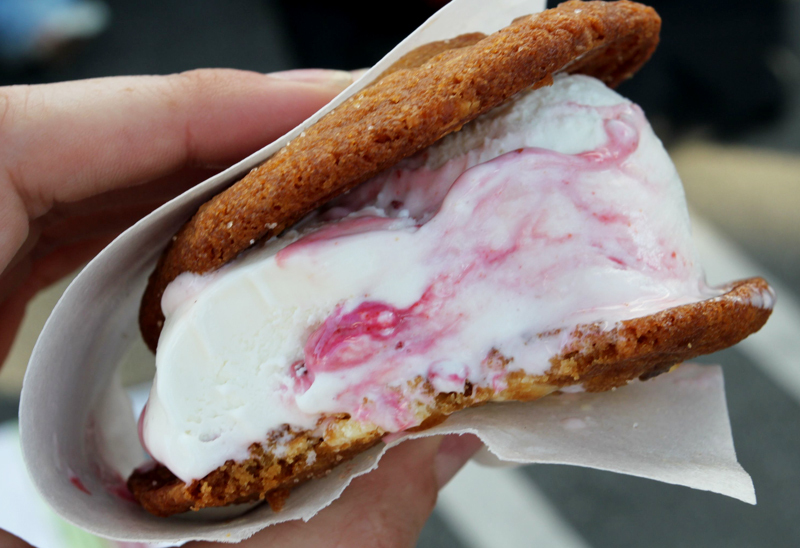 ), there were demos on making your own butter, and cooking with cactus, butchering meats, live bands playing toe-tapping tunes, and loads of vendors selling hand-made edibles, and responsibly-crafted goods. And there were TONS of people, who had walked and biked there (in your face, “cArmageddon”)- which was a blast! 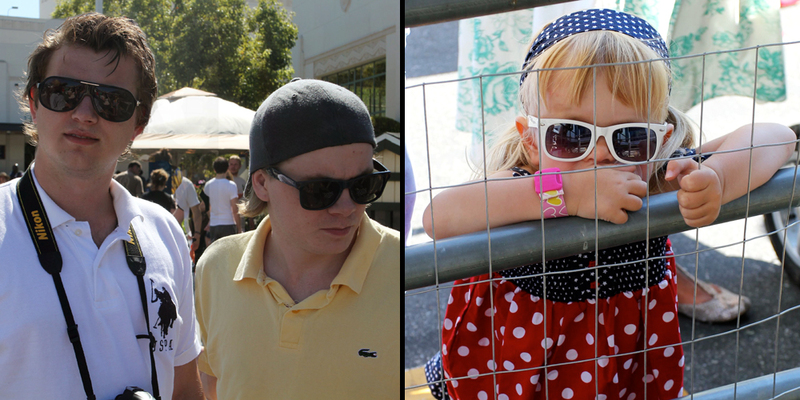 Below are a few shots from the festival. 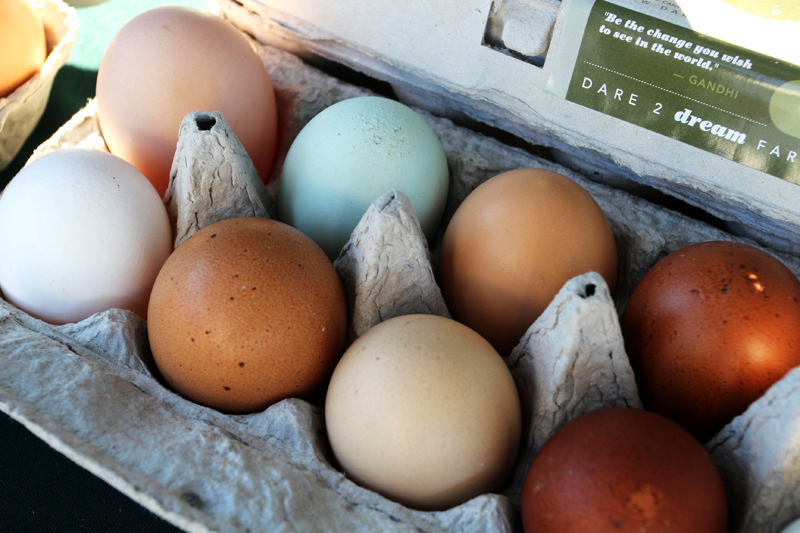 The colorful eggs from the gorgeous chickens from Dare 2 Dream Farms in Lompoc. 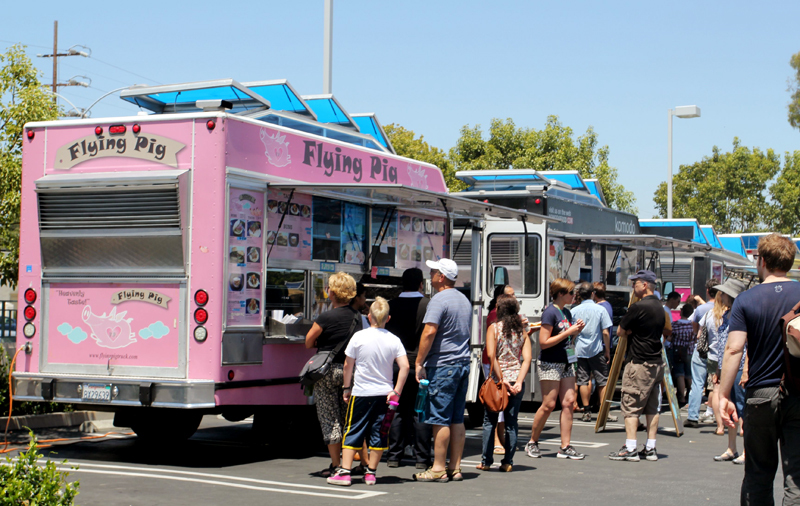 Food trucks, glorious food trucks! 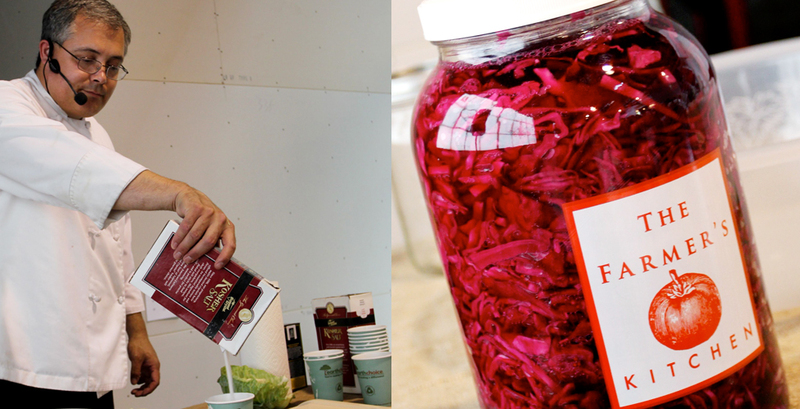 Our Sauerkraut class presented by the good people of the Farmer’s Kitchen. 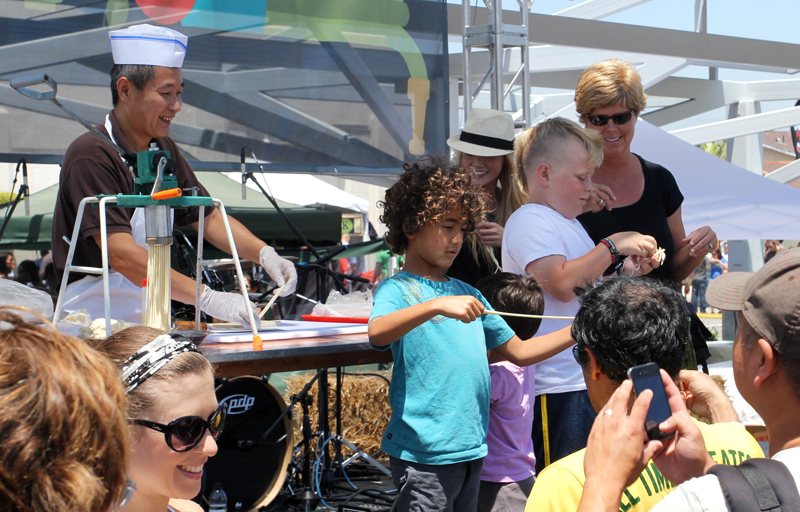 The crowd getting into the noodle-pulling demo by Mr. Yang of Mandarin Noodle Deli– Smiles all around! 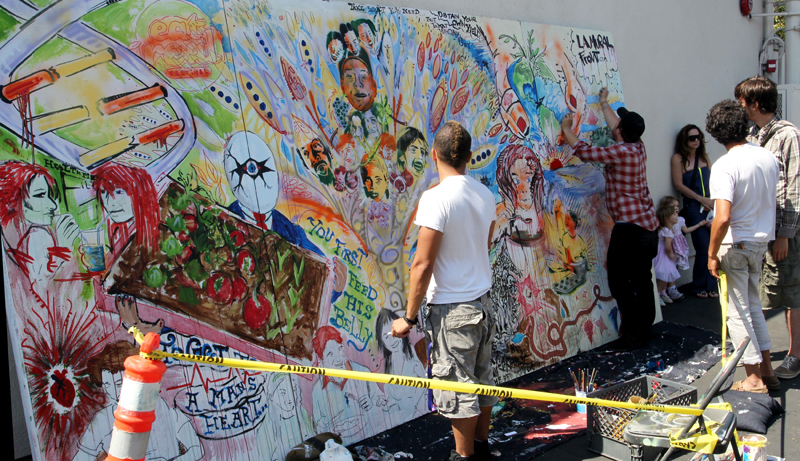 Community Garden-themed Mural-painting in the back lot! Even my Norwegian relatives stopped by for a hot dog and to pet the chickens! 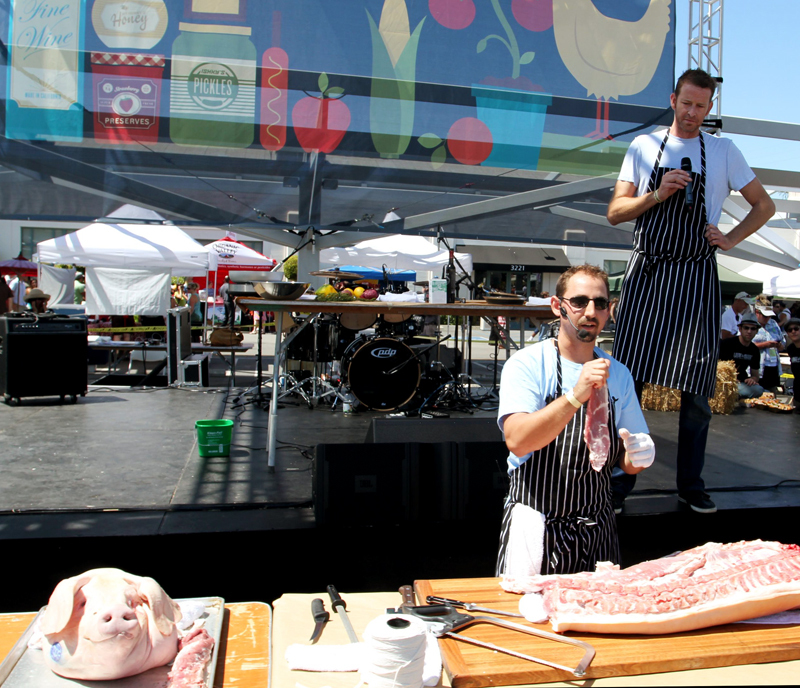 Of course, no sustainable food event is complete without a pig-butchering demo starring Chris Jacobson of Top Chef Season 3, and skilled butcher, Michael Puglisi, who both work at The Yard in Santa Monica. And did I mention how cute their signage was? I should have bought a shirt because I LOVED their graphics! 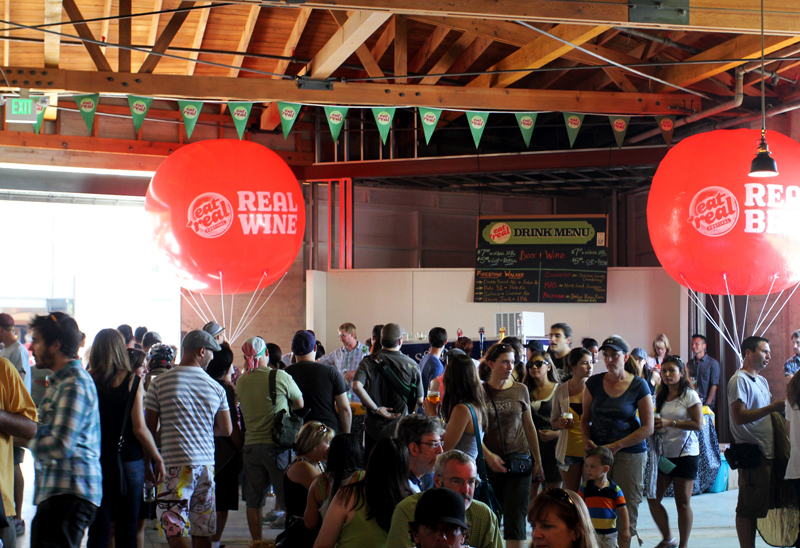 This was the first Eat Real event in Los Angeles, and there have been three in Oakland so far. I hope to attend many more of these events in the future! I was smiling all weekend. The Eat Real Festival, got me thinking about what more I could do to raise food at home, and how to make smart food choices when I’m shopping. I also picked up some new skills, met more of my neighbors, and got to taste some really delicious foods and beverages! Thanks Eat Real Festival! See ya next time! Awesome! I’m so glad ideas like this are spreading. 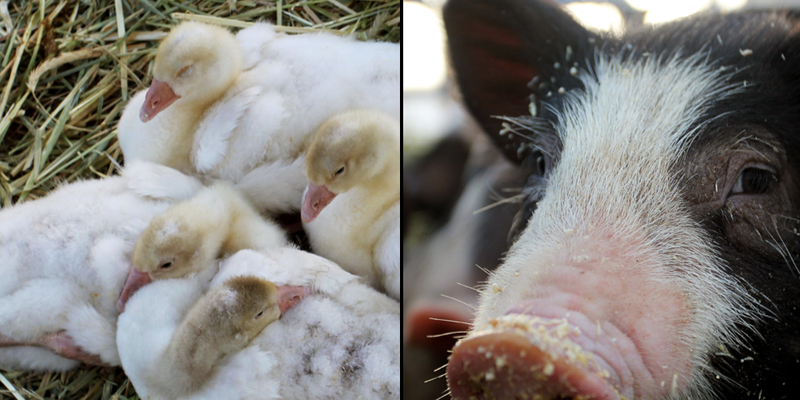 We definitely need to get back to eating real food and know where it comes from (even our own backyards!). Although I must admit the pig demo looked a little too gruesome for me! This looks like a very cool event. I really like the growing popularity of these ideas too. For something as important as how we fuel our bodies, we sure don’t put a whole lot of thought into it sometimes! this is awesome and thank you chica! Awesome, I’m going to have to check out the next Oakland one! Catherine- I completely agree! It’s events like this that really help get people motivated! I’m so impressed by and proud of the organizers! Cassandra- Thanks for the comment Totally agree with you on the fuel comment! A girl after my own heart! Thanks Delilah! You are amazing!!! Maria!! I want to go with you!